Earn 19 Loyalty Points with this product. ? Sometimes, extra and special nutrients may be required to achieve maximum health. Urinary Tract Health Supplements contain N-Acetyl glucosamine, cranberry and probiotics which are suitable for cats that have a predisposition to urinary tract problems and bladder crystallization. 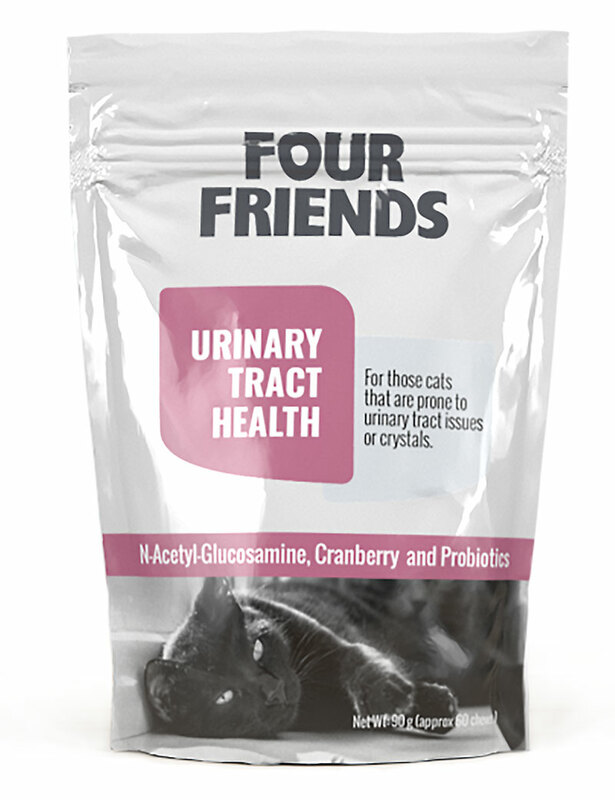 N-Acetyl Glucosamine is a precursor to the glucosaminoglucan which covers the urinary bladder mucus so that it does not come into contact with the urine and becomes inflamed. Cranberries contain proanthocyanidins that prevent bacterian from attaching to the bladder wall. Brewer's yeast, calcium sulphate, hydrolyzed chicken liver, cetric acid, glycerin, maltodextrin, mixed tocopherols, propionic acid, rosemary extract, safflower oil, silica, sodium alginate, soy lecithin, vegetable oil. There are about 60 pieces per bag.